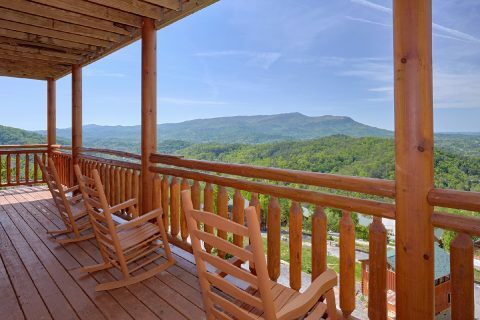 Come experience "Splashin' With A View" in Pigeon Forge, TN! 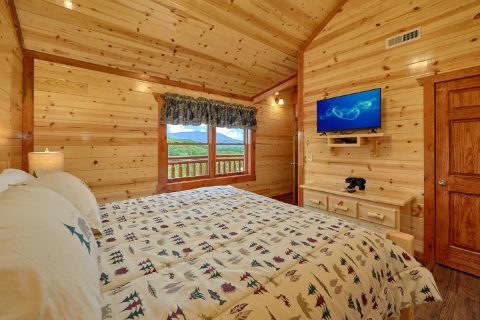 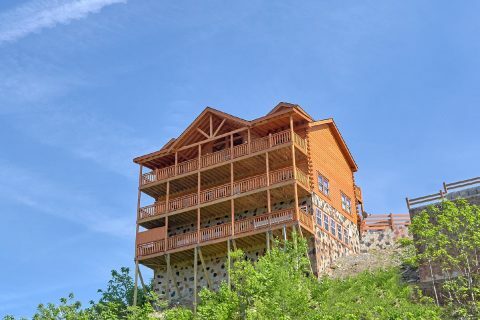 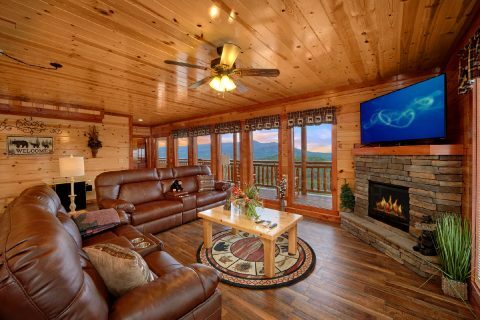 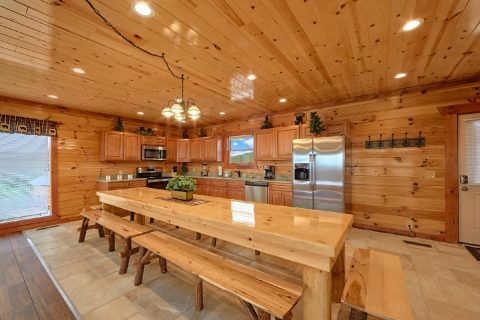 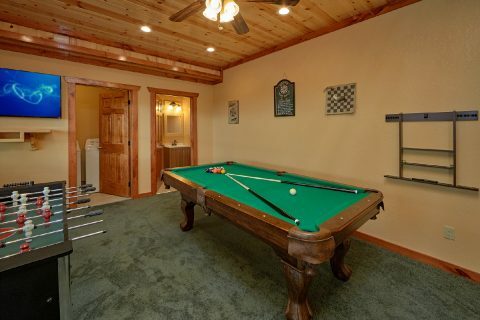 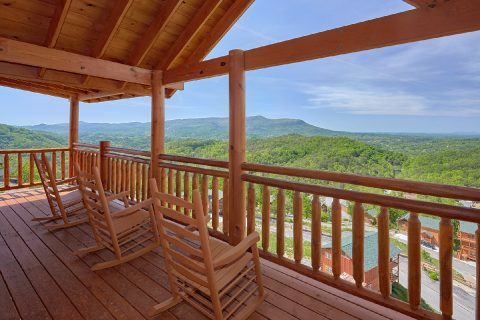 This premium Smoky Mountain cabin comes complete with an impressive set of amenities including a private indoor swimming pool, a theater room, game room, and a beautiful location in Black Bear Ridge Resort! 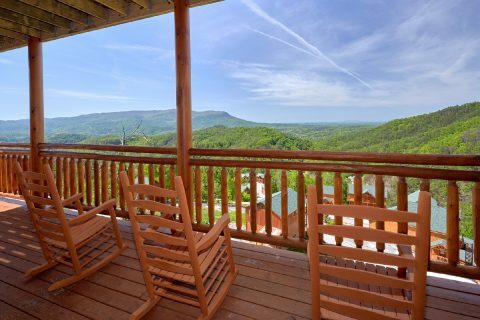 Better yet, this rental's location gives guests a beautiful mountain view to enjoy during their stay. 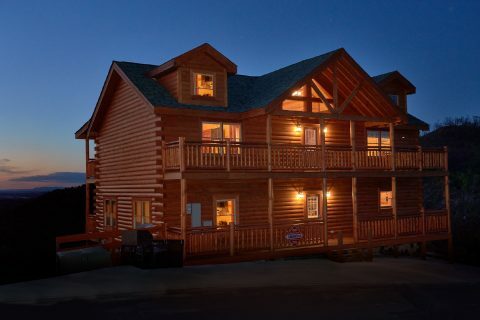 When you aren't unwinding at your luxurious mountain cabin, you can easily explore nearby sights and attractions. 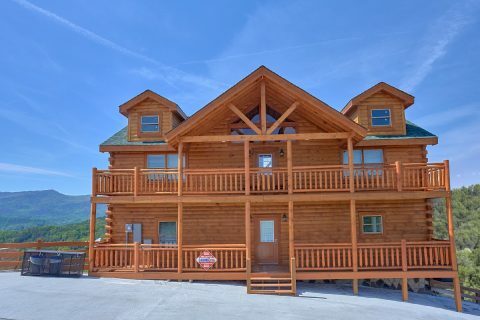 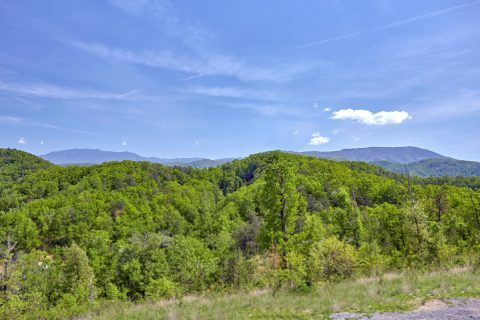 After all, this rental is located less than 5-miles from thrilling attractions on the Pigeon Forge Parkway like The Island, go-kart tracks, live shows, and interactive museums. 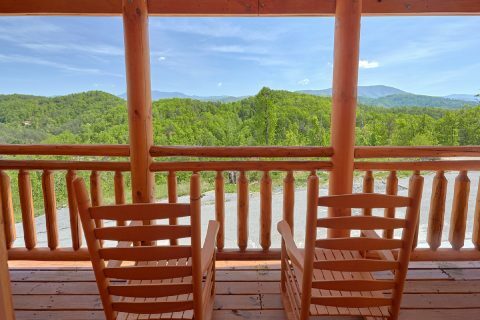 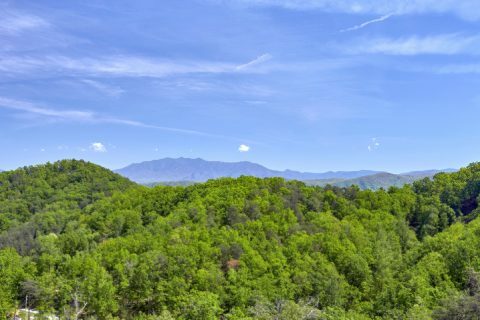 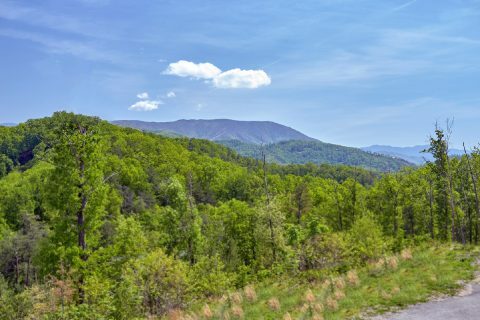 Other top destinations like Dollywood, The Great Smoky Mountains National Park, and charming Downtown Gatlinburg are also only a short drive away from your cabin. 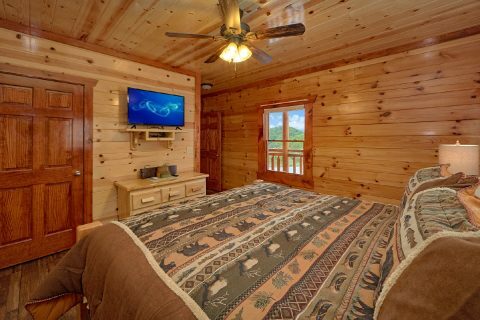 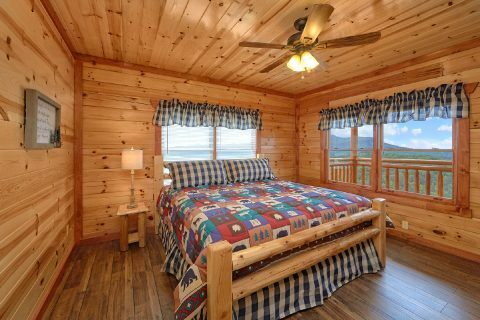 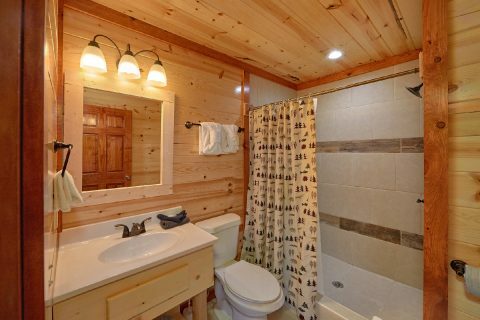 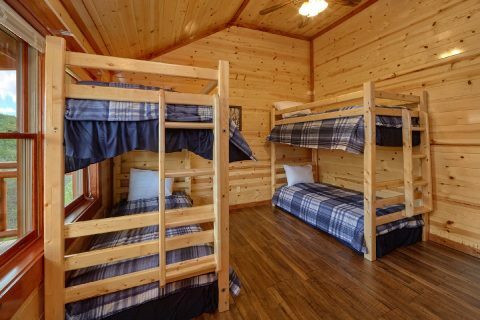 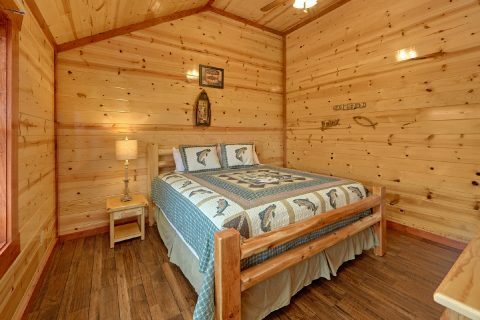 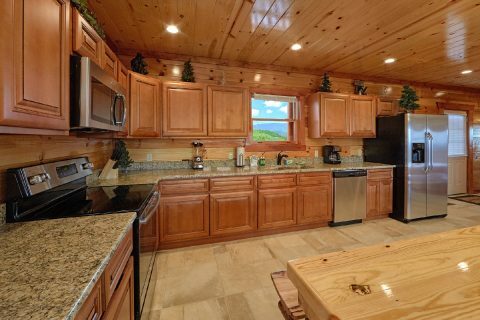 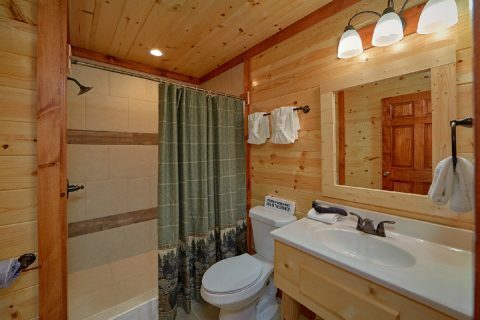 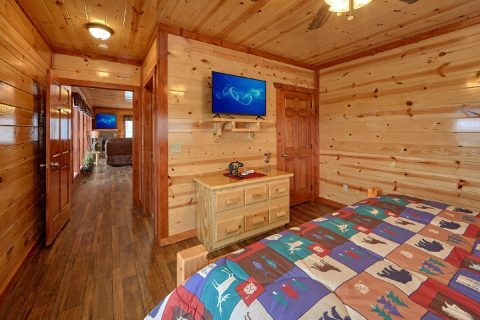 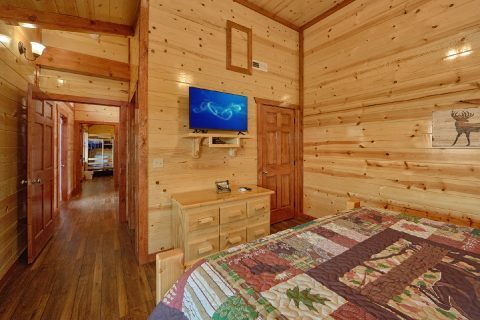 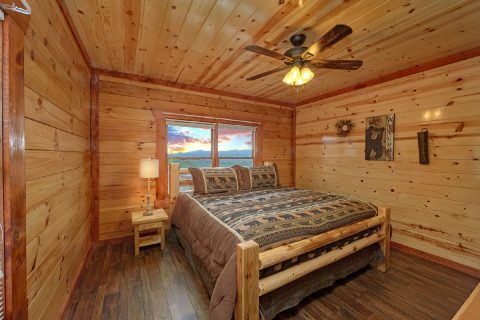 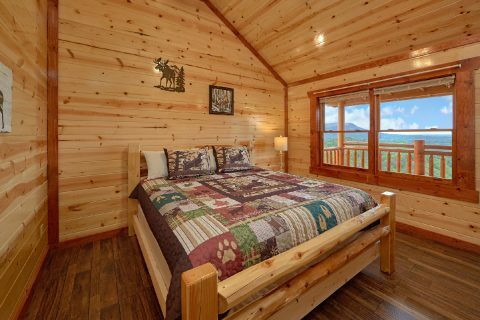 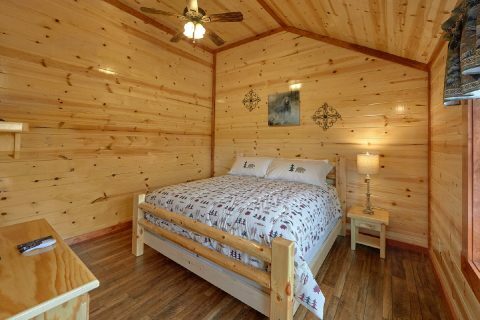 After a great day spent exploring the beautiful Smoky Mountains, you can look forward to returning to your premium log cabin with all the comforts of home and more. 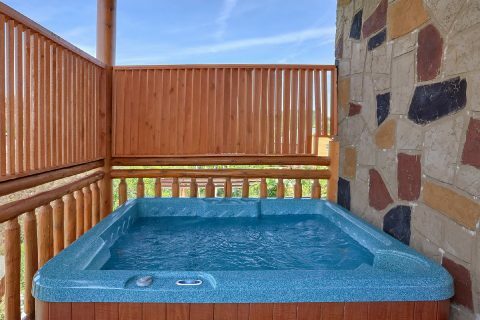 For resting your weary bones after a fun day of hiking, you can always take a dip in your cabin's hot tub. 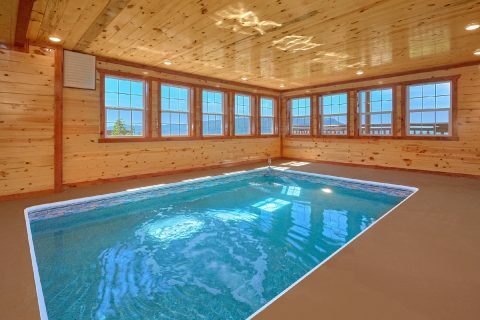 During any time of year you'll also have the option for year-round swimming in your cabin's private indoor pool. 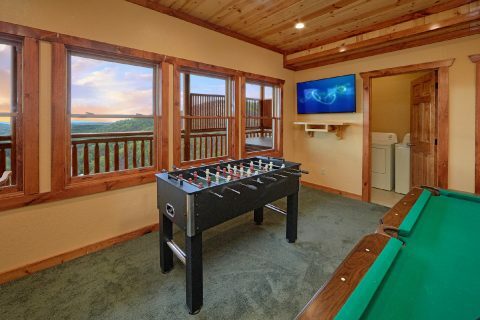 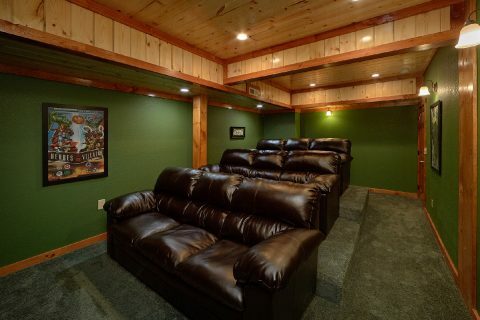 For some in-cabin entertainment, you can watch your favorite movies and shows in your cabin's theater room or you can enjoy some friendly competition on the pool table or foosball table in the game room. 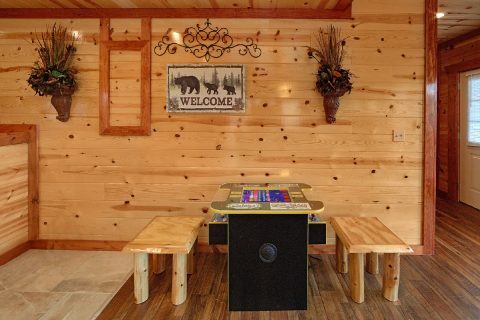 Or just relax by your cabin's electric fireplace while you enjoy the company of your family and friends. 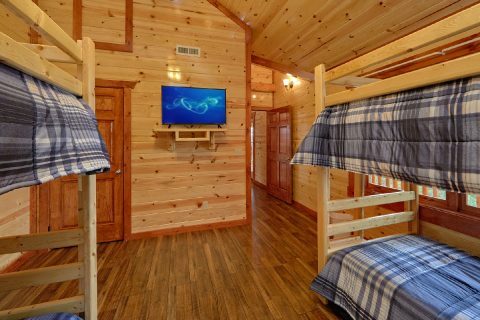 On top of all these luxurious amenities, your cabin also offers practical amenities like a full kitchen, charcoal grill, WiFi Internet, and a washer & dryer. 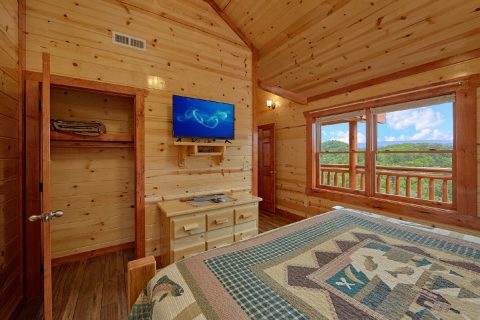 Book your luxury Pigeon Forge cabin with a private pool and a mountain view today with Cabins USA to save 15% on your nightly rate!